Heat the oven (with the oven rack in the middle) to 375°F. 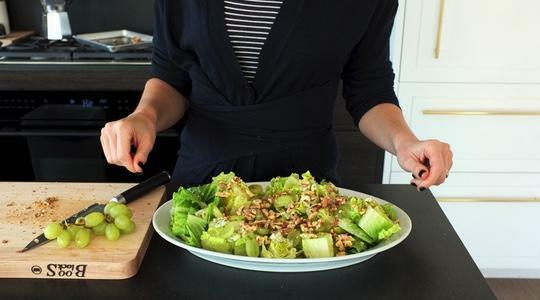 Place the walnuts on a sheet pan and transfer to the oven. Bake until the walnuts are toasted and fragrant, about 8 minutes. Let cool. 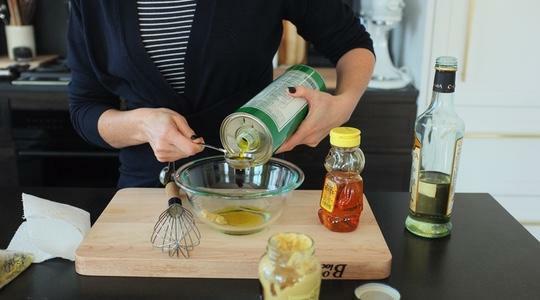 Next, make the vinaigrette: in a small bowl, whisk together the mustard, honey, vinegar, oil, salt, and pepper (about 12 turns on pepper mill). 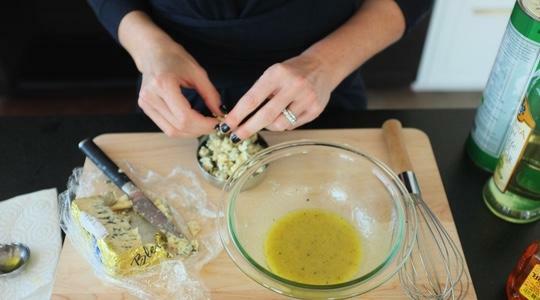 Crumble and measure the cheese then gently fold into the vinaigrette. 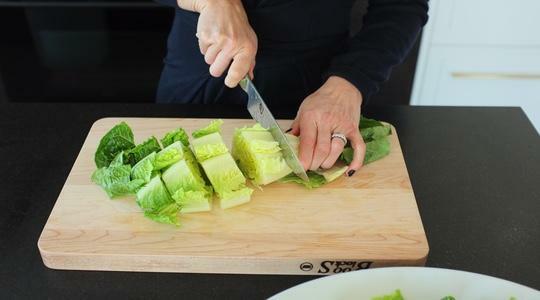 Discard any discolored outer leaves from the heads of romaine to get to crisp hearts. Rinse the hearts and pat dry with paper towels. Starting at the leafy end, cut each head crosswise into 1 inch strips, stopping short of the core. Arrange on a platter. 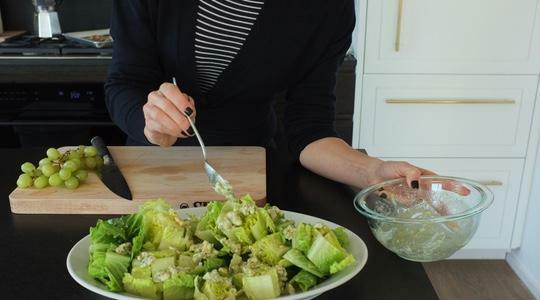 Spoon the vinaigrette over the romaine. 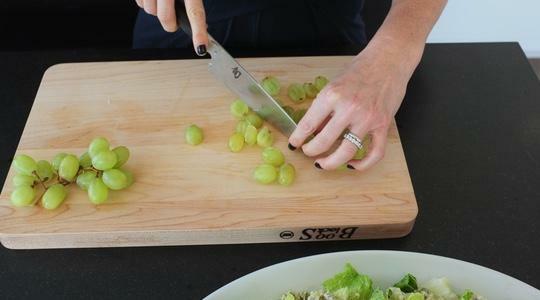 Cut the grapes in half. 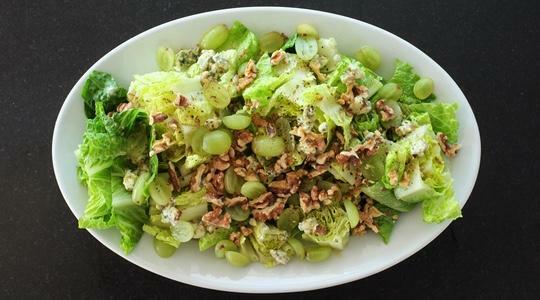 Scatter the grapes and chopped walnuts over the salad.